Marjorie Agosín’s intensely personal long poem The Light of Desire is both a secular and sacred meditation on love and its meanings in the land of Israel. Following the tradition of the Song of Songs and the secular poetry of Sepharad, the beloved in The Light of Desire is both physical and metaphorical. The lovers’ bodies are the paths, the geography, leading not only from desire to sensual pleasure, but to memory and illumination. The light on the pink stones of Jerusalem, the sunlight of Galilee, from hills to the sea, the fragrant air and “mantle of stars,” all become one in this tender, rhapsodic expression of longing and desire. This is not unrequited love, but rather a reciprocal passion that brings exquisite pleasure, pain, a sense of fragility, and the hope and belief in that which is eternal. The poem was written over a four-year span in Jerusalem’s Mishkenot Sha’ananim neighborhood, overlooking the wall of the Second Temple, and these hallowed surroundings imbued Agosín’s poetic voice. 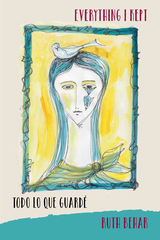 Lori Marie Carlson’s sensitive translation maintains the spirit of the original Spanish in this bilingual edition. “I only wanted to write about them, / Narrate their fierce audacity, / Their voyages through the channels of the Mediterranean.” So begins a poetic journey through the islands of the Mediterranean that served as homes and refuge for the Sephardic Jews after the Alhambra Decree, which ordered their expulsion from Spain. Inspired by her own journey to Salonika and the Greek Islands, Rhodes, Crete, as well as the Balkans, Marjorie Agosín searches for the remnants of the Sepharad. 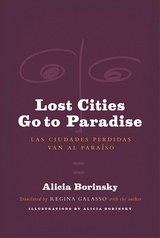 Presented in a beautiful bilingual Spanish-English edition, Agosín’s poems speak to a wandering life of exile on distant shores. We hear the rhythm of the waves and the Ladino-inflected voices of Sephardi women past and present: Paloma, Estrella, and Luna in the fullness of their lives, loves, dreams, and faith. 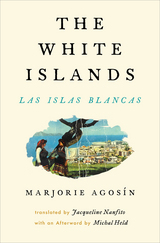 An evocative and sensual voyage to communities mostly lost after the Holocaust, The White Islands offers a lighthouse of remembrance, a lyrical world recovered with language and song, lament and joy, longing and hope. Born in the south of Chile, but living and writing in the U.S. for the past thirty years, Raúl Barrientos eludes the easy categories: Latin American, Latino, American. All of these, and more. 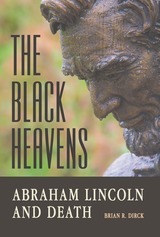 Yet always a poet, turning whatever he touches into startling imagery and gritty, enduring verse. These poems trace a trajectory from the 1973 coup d'etat in Chile to a difficult end-of-millennium in Manhattan. They give the reader a privileged view of a long and continually productive career in poetry—and a glimpse of the life behind it. With this highly original collection of short stories, Catalonian writer Jaume Cabré takes his place among the masters of the form. 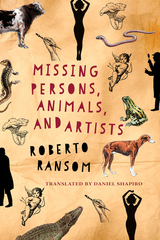 In Winter Journey, the reader encounters disparate and often desperate characters—pianist, cuckold, whore, organ builder, rabbi, priest, scholar, thief, hitman, madman, Holocaust survivor, oligarch, failed artist—who challenge notions about will, morality, and “the riddle of existence.” This is not a selection of individual stories, but a singularly brilliant and enigmatic narrative, novelistic in its approach, with mysterious connections linking characters, objects, and ideas across time and place. The text takes the form of a Schubertian musical progression in prose, a philosophical mystery moving freely through a labyrinth of centuries and cities, historical and contemporary. Richly allusive with its themes and motifs of music and art, Winter Journey will continue to provoke questions long after the reader has closed the book. This edition represents the first translation of Cabré’s work into English and an invitation to many more readers to come along for the ride. The Rimac shapes the narrative of this compelling historical novel that probes the brutal clash of ethnicity, religion, and class in sixteenth- and seventeenth-century Peru. 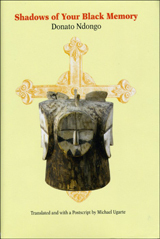 Set against the backdrop of Spanish colonialism and the Spanish Inquisition in the “New World,” Malambo peels back the layers of Peru’s society to focus on the subtle connections among indigenous peoples— Africans, Jews, Christians and others—whose cultural fusion pervades Latin American history and culture. At the heart of the novel is Tomason, an African artist living along the Rimac who paints religious murals for the church and his colonial masters. 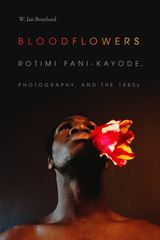 The intermingling of his Yoruba heritage with his life in a Spanish colony transforms him into a griot figure who unearths the deeper truths of his painful and complex experience by sharing it. Other memorable characters’ stories intertwine with Tomason’s tale, developing a narrative that powerfully reflects on the themes of dislocation and enslavement. 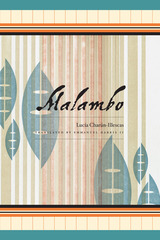 Malambo is an unforgettable work that explores the origins of the Afro-Hispanic experience and offers a profound meditation on the forces of history. This exchange is but a glimpse into the complex relationship between two renowned and highly influential twentieth-century artists. On the centennial of Dali's birth, Sebastian’s Arrows presents a never-before-published collection of their letters, lectures, and mementos. Written between 1925 and 1936, the letters and lectures bring to life a passionate friendship marked by a thoughtful dialogue on aesthetics and the constant interaction between poetry and painting. From their student days in Madrid's Residencia de Estudiantes, where the two waged war against cultural “putrefaction” and mocked the sacred cows of Spanish art, Dali and Garcia Lorca exchanged thoughts on the act of creation, modernity, and the meaning of their art. 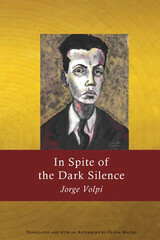 The volume chronicles how in their poetic skirmishes they sharpened and shaped each other’s work—Garcia Lorca defending his verses of absence and elegy and his love of tradition while Dali argued for his theories of “Clarity” and “Holy Objectivity” and the unsettling logic of Surrealism. Christopher Maurer’s masterful prologue and selection of letters, texts, and images (many generously provided by the Fundacion Gala-Salvador Dali and Fundacion Federico Garcia Lorca), offer compelling and intimate insights into the lives and work of two iconic artists. The two men had a “tragic, passionate relationship,” Dali once wrote—a friendship pierced by the arrows of Saint Sebastian. Peruvian poet Luis Hernández is legendary in his native country. Haunted by addiction and spending periodic reclusion in rehabilitation centers, Hernández was exceptionally gifted in his youth, publishing three books of poetry by the time he was twenty-four. He did not publish another book before his untimely death at thirty-six, but he was not silent—he filled notebooks with poems, musical notations, quotes, translations, musings, newspaper clippings, and drawings. Derived from these notebooks, The School of Solitude is the first book of Hernández’s poetry in English. The haunting voice of Hernández evokes an irrevocably distant past, with the poems contemplating happiness and joy, love and fulfillment, yet always with a sense of sadness, solitude, and dream. 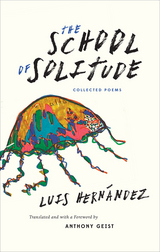 Including rare images from Hernández’s notebooks, as well as several poems never before published in any language, The School of Solitude will be read not only for its powerful poetry and imagery, but also as a means to learn more about this enigmatic Latin American poet and the mystery of his life and work. Victor Hugo spent years in political exile off the coast of Normandy. While there, he produced his masterpiece, Les Misérables—but that wasn’t all: he also wrote a book-length poem, La Fin de Satan, left unfinished and not published until after his death. Satan and his Daughter, the Angel Liberty, drawn from this larger poem, tells the story of Satan and his daughter, the angel created by God from a feather left behind following his banishment. 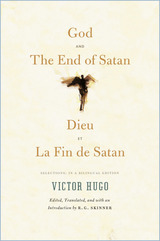 Hugo details Satan’s fall, and through a despairing soliloquy, reveals him intent on revenge, yet desiring God’s forgiveness. The angel Liberty, meanwhile, is presented by Hugo as the embodiment of good, working to convince her father to return to Heaven. 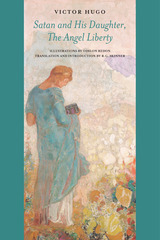 This new translation by Richard Skinner presents Hugo’s verse in a unique prose approach to the poet’s poignant work, and is accompanied by the Symbolist artist Odilon Redon’s haunting illustrations. No adventurous reader will want to miss this beautiful mingling of the epic and familial, religious and political. Spanish filmmaker Luis Buñuel (1900–83), known for his surrealist themes and unflinching social criticism, was an artist defined by intellectual ambition and controversy. An exile who produced some of his most famous work in Mexico and France during Franco’s dictatorship, he left a complicated imprint on the creative landscape of the twentieth century and on generations of younger filmmakers—including his Mexican friend Claudio Isaac. Drawn from Isaac’s personal papers, Midday with Buñuel: Memories and Sketches, 1973–1983 is an intimate and unconventional portrait of this cinematic icon—and memoir of Isaac’s own artistic development. The text includes sketches, vignettes, and anecdotes from Isaac’s notebooks, revealing his perspective first as a precocious boy and then as a young man. Isaac reflects on Buñuel’s presence among a community of exiles, artists, actors, writers, and intellectuals in Mexico City. 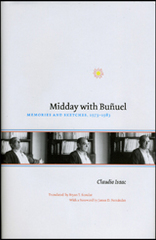 These are at once touching, perceptive, and critical glimpses into Buñuel’s roles as husband and father, friend and colleague, surrealist, philosopher, and iconoclast during his last years. Throughout, Isaac’s words reveal his deep admiration and affection for an older friend full of contradictions. Intimate photographs from the Isaac family archive complement the writing, and Bryan Thomas Scoular’s careful translation makes this text available for the first time in English. Part biography, part memoir, Midday with Buñuel brings to life the creative milieu of Mexico City and gives readers a privileged view of the relationship between these two filmmakers. Few have written more memorably about the work of poetry and the poetics of work than Juan Ramón Jiménez, winner of a Nobel Prize and discerning teacher of an entire generation of Spanish poets. In this series of aphorisms, Jiménez brings together the elements of perfect work, both in writing and in other realms. Among these elements—the wellsprings of any kind of creation—are instinct and inspiration, memory and forgetting, silence and noise, love and regret. 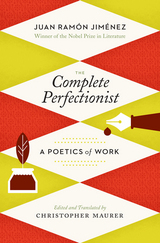 A treasure for poets and writers, The Complete Perfectionist includes helpful commentary by noted translator Christopher Maurer and shows perfection as a process of “becoming” rather than an end product. In these insightful pages, a poet haunted by perfection reveals his methods of writing and revision, and measures the social and ethical dimensions of el trabajo gustoso, or pleasurable work. 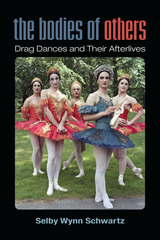 This revised and expanded edition includes many aphorisms recently published in Spanish and not previously included. In her fourth book of poems, Mexican-born Olivia Maciel lyrically evokes another America. She writes with the critical and contemplative eye of a poet, revealing mystery and beauty in places dark and light, near and far. The richly allusive language of Sombra en plata / Shadow in Silver is a terrain at times steep, fevered, and sensual: a harmony of words scented of earth and sky. Her poems are catalysts for transformation, challenging the reader with a vision of a world where myth and the quotidian are intimately intertwined. Exploring complex and unpredictable landscapes, Maciel is both a guide and fellow traveler on a fascinating journey through memories and emotions. Maciel eloquently draws from both collective and personal histories, and this new bilingual compilation will be a pleasure to turn to again and again. In Olivia Maciel's Filigree of Light, one enters a lyric of solitude and light, water and wind. Maciel is a poet who has the power to reveal and surprise, bringing one close to things. She approaches the unknown, searching with riddles and reverie. In Limestone Moon Olivia Maciel interrogates the inexpressible. Metaphor reaches into a realm of light and darkness to mysteriously converse with the silence enveloping the word. The tinging of this dark light which transcends borders, reveals a vehement and genuine interior, impregnated by the seed of the dream. 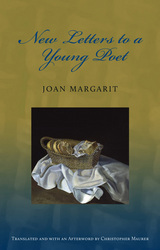 With almost religious intensity, the poems yield a rare fruit, whose taste evokes the ineffable. What happens on that trip to Salto opens this moving narrative by Uruguayan writer and poet Circe Maia. It begins with a mother and her young daughter desperately trying to catch an overnight train to Salto that they hope carries their husband and father, a physician and political prisoner who is traveling to the Salto prison accompanied by military guards after being interrogated in Montevideo. Their ensuing trip reveals the effects of a totalitarian regime on families and social relationships. 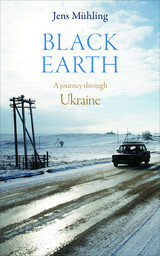 The tale of their journey is followed by a series of diary entries written by the mother between 1972 and 1974. The diary complements the opening account as each entry sensitively chronicles the family’s struggle to cope with daily life under prolonged separation, fear, and uncertainty. The diarist questions how one’s sense of community and love for country change when basic human rights can no longer be taken for granted. Presented here in a bilingual edition, A Trip to Salto ultimately provides an intimate glimpse into Uruguayan history while it explores the deeper truths about an individual’s capacity to resist, adapt, and hope. In these intimate pages, award-winning Catalan poet Joan Margarit offers a passionate defense of poetry and of the intelligible poem—the well-made text that can provide refuge, wisdom, and consolation. Inspired by Rilke's classic Letters to a Young Poet, this slender volume explores poetry as vocation, obsession, and partnership between writer and reader, a "road toward inner growth." For Margarit, poetry promises "a clarity that allows us mysteriously to live without the need to forget." This is essential reading for poets young and old, writers, and readers seeking insights into the creative process and "the way both poet and reader can find their own way to face solitude." Appearing for the first time outside of Cuba, this bold collection of short stories provides an intimate and critical view of Afro-Cuba. 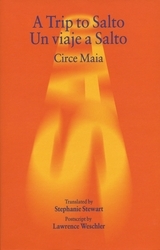 Inés María Martiatu’s stories—presented in a unique "split" English/Spanish edition—span postcolonial Cuba of the early twentieth century, the First Republic, the “victorious revolution,” and contemporary life in the streets of Havana. Taking real risks as an Afro-Cubana, Martiatu confronts conflicts about identity, race, marginalization, and discrimination. The history of the Caribbean, as part of the African diaspora, is reflected in the textures of life in Cuba, its music, rituals and myths, the Church and Santería, past and present. While race is unquestionably fundamental to the stories, they are at the same time rooted in the universality of the human experience. The vantage is that of an unflinching, yet compassionate observer of society—one who simultaneously turns an introspective mirror on the complicated layers of self. Set during the last years of Spanish rule in Equatorial Guinea, Shadows of Your Black Memory presents the voice of a young African man reflecting on his childhood. Through the idealistic eyes of the nameless protagonist, Donato Ndongo portrays the cultural conflicts between Africa and Spain, ancestral worship competing with Catholicism, and tradition giving way to modernity. The backdrop of a nation moving toward a troubled independence parallels the young man’s internal struggle to define his own identity. Now in paperback, Shadows of Your Black Memory masterfully exposes the cultural fissures of Ndongo’s native land. “Spanish Guinea” is a heated, sensual landscape with exotic animals and trees, ancient rituals, ghosts, saints, and sinners. We come to know the narrator’s extended family, the people of his village, merchants, sorcerers, and Catholic priests; we see them critically at times, even humorously, yet always with compassion and a magical dignity. Michael Ugarte’s sensitive translation captures the spirit of the original Spanish prose and makes Ndongo’s powerful, gripping tale available to English-speaking readers for the first time. 'Con las debidas licencias' is the Spanish version of 'imprimatur' or 'nihil obstat,' the Latin used for books published under Catholic censorship. In Spanish, the title plays with the semiotic richness of the word 'license,' meaning 'liberty of action conceded' and 'abuse of freedom.' The poems of With Leave and License strike the imagination with tenderness and nostalgia, powerful in this intelligent vision of life considered as an irreversible journey. While living in exile with his family on the Channel Islands off the coast of Normandy, Victor Hugo wrote some of his greatest poetry and prose, including Les Misérables and two epic poems: Dieu and La Fin de Satan. Dieu pictures the imaginary search for God by a nameless protagonist, who must face the possibility of failure in this quest. La Fin de Satan, an indictment of prison, war, and capital punishment, depicts an attempt at reconciliation between good and evil. This book brings together abbreviated editions of these two book-length poems—unfinished and unpublished at the time of the author’s death—comprised of selections that capture their visionary and mystical essence. The poems are accompanied by an introduction framing them within the author’s experience as an exile and tracing their publication history. Victor Hugo is one of the most important figures in the history of French literature, and this beautifully rendered translation brings two of his lesser-known works deservedly to the forefront. For Eduardo Urios-Aparisi poetry is above all, word, spoken word. Word that commits, pronounces, sounds. Word that leaves knots in the voice. For Urios, words play and challenge to play, to conceive the world from different and unsuspected points of view. 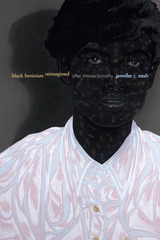 The poems reflect the senses of the poet; moment to moment, in seduction, abandonment, and loss. It is reality flowing and always fleeing; fragmentary, accelerated, changing and unattainable. "He was named Jorge, like me, and for this his life hurts me twice." So writes Jorge Volpi in this highly original novel that presents a biographical perspective on the tragic life of the poet and chemist Jorge Cuesta. Cuesta was one of the founders of Los Contemporáneos, an influential twentieth-century literary movement. The poetic voice of Cuesta's verses can be heard throughout, offering insights into the creative and destructive forces and impulses in his work that eventually led to a mental ward—and a shocking suicide at thirty-eight. The fictional "Jorge," as narrator, embarks on an obsessive quest to understand the life of the long-dead poet, with the distance between subject and researcher blurring as he finds himself struggling to understand his own life. It is a brave search for anyone willing to gaze into the mirror of mortality "in spite of the dark silence."